What does the Dessertbox contain? Come and discover a new Dessertbox each month to prepare succulent desserts to enjoy for two, between friends or in family. You receive a delicious dessert original recipe, ingredients and products to prepare an unforgettable dessert, accessories to make the preparation easier. And everything is delivered to your door or at a pick-up and go location. What entitles me my subscription? Subscription to Discovery: You receive once your Dessertbox in a relay spot. No commitment. No automatic renewal. I wish to offer gifts and several monthly subscriptions Dessertbox, how? When will I receive my Dessertbox? Dessertbox are shipped the 15th of the month. You will receive an email every month telling you the shipping date and your Dessertbox the tracking number of your package. If you send us your mobile number, you will receive a text message to alert you to the arrival of your Dessertbox point relay. When will I be charged if I took a monthly subscription? You will be charged (e) immediately on your first order. Will he extra charge in addition to the subscription? For now we offer Free delivery to France, Belgium and Luxembourg in a relay spot. 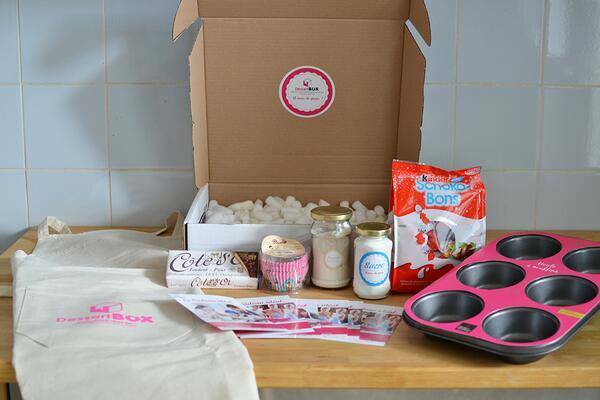 If you want home delivery you can send us an email to info@dessertbox.be. A supplement will be charged 6 euros for Belgium and Luxembourg and France for 12 euros. I would like to offer the Dessertbox for a month or try it once, is it possible? What are the different possible modes of delivery? Where can I find my tracking number package Package Private? If you send us your mobile number, you will receive a text message to alert you to the arrival of your Dessertbox point relay. You will also receive your tracking number via email. How do I find the nearest spot me Mondial Relay? Why have I not received my Dessertbox? How can I track my Dessertbox? 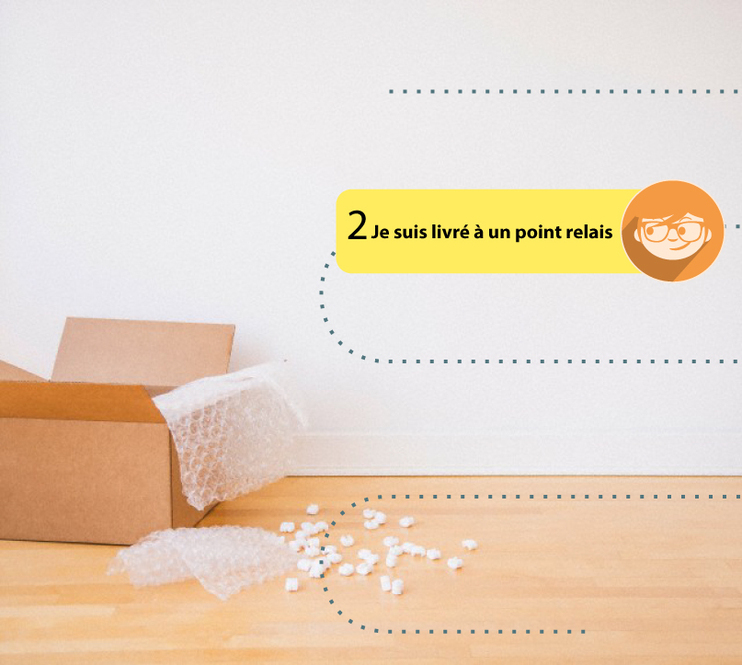 You will receive a tracking number in the email we send you at the time of shipping DessertBox that allows you to follow the path of your package to the point relay. Just send us an email to info@dessertbox.be giving us the desired new address. You can change your address by the 25th of the month. Can I order the Dessertbox previous months? You can order Dessertbox previous months based on availability. My Dessertbox arrived in poor condition (damaged or missing product etc. ), what can I do? If your Dessertbox was damaged during shipment, please send us an email to info@dessertbox.be with the photo of the damage and we will find a solution to the problem. You can send us an email to partenariat@dessertbox.be and ask for your PIN. You can then broadcast to your friends on facebook, blog or email. What should my friends pointed out that I sponsor? When registering to Dessertbox, friends will enter your personal code.